When I first started watching Cardcaptor Sakura, there were several things that immediately impressed me. I loved how spunky and brave Sakura was from the start, how interesting the battles were, and how supportive Tomoyo was. But most of all, I loved the relationship between Sakura and her brother Toya. In most magical girl series, the family of the ‘magical girl’ almost never realizes what the girl is up to or her secret identity. 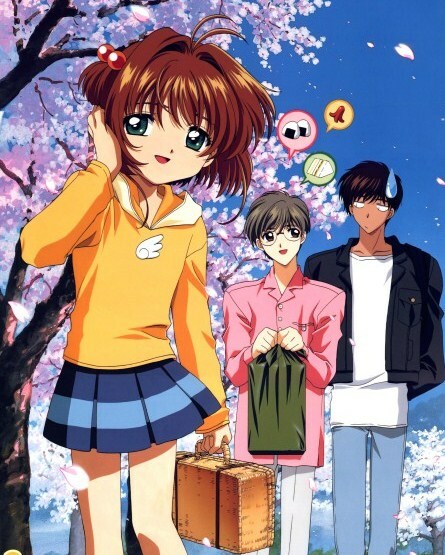 Over the course of Cardcaptor Sakura, however, it becomes clear that Toya is very aware of what Sakura is up to whenever she leaves their house at midnight. At first the signs that Toya realizes what Sakura is up to are subtle, and are mostly shown through his ‘staring matches’ with Kero, who has to pretend to be a plush doll whenever Toya stares at him strangely. Yet as the series progresses Toya is shown watching Sakura’s battles from afar, and he eventually admits to Sakura he knew her secret all along. Even though he’s sometimes mean to Sakura (he always teases her by calling her a monster, which ticks her off), it’s clear that Toya is very protective of Sakura. 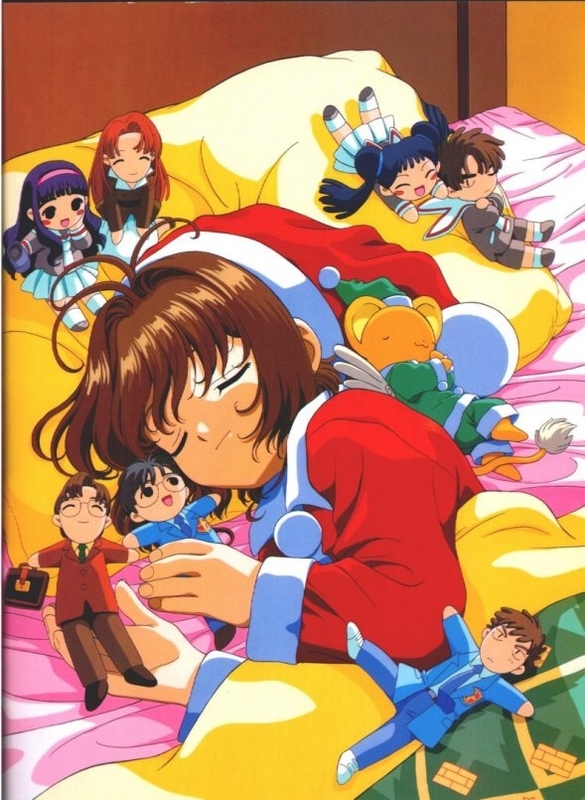 A running joke throughout the series is that Toya works everywhere – in episode three when Sakura and Yukito go to an aquarium, Toya has a job there feeding the penguins, while in episode 35 when Sakura, Yukito, Shaoron and Meilin go to the amusement park Toya is the waiter at a café they visit. 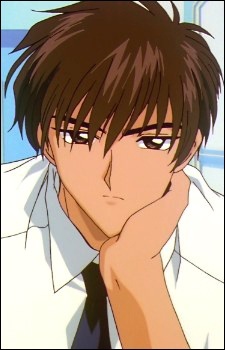 Toya also really dislikes Shaoron, and when Yukito asks him why near the end of the series he says it’s because he knows Shaoran is going to take something precious away from him one day. In many ways, Toya is the ideal big brother, which is lampshaded throughout the series. At one point near the beginning of the series when Toya gets mad that Shaoran tried to attack Sakura, Yukito jokes that Toya has a sister complex. Yet it’s clear that Toya’s kindness isn’t just directed at Sakura alone. One of my favorite episodes is episode seven, which is when the Mirror card is introduced, who takes Sakura’s form. She tricks Toya into finding something she dropped in the woods, which causes Toya to fall of a cliff. However, right after he falls, Toya tells the girl that he will still help her find what she’s looking for, even though he knows that the girl isn’t really Sakura. In episode 39, when Sakura has a fever she uses the Mirror card to pretend to be her so she can capture the Cloud card (and so Toya won’t realize she’s missing). However, Toya tells the girl that he knows she’s not Sakura and he also tells her not to tell Sakura he’s aware of her secret because he knows she wants to keep it a secret. 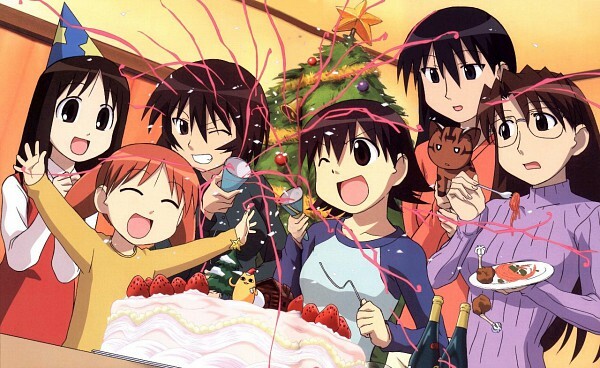 The Mirror card and Toya meet for one last time in episode 61 when Sakura and Toya were supposed to be Christmas shopping, and Toya sweetly gives the card ribbons because he can tell her ‘true form’ has long hair. I actually loved all of the interactions between Toya and the Mirror card, not only because they show how kind Toya is but also because they bring personality to the cards themselves, which I really appreciated. But what’s interesting is that outside of his relationship with Sakura, we don’t know a lot about Toya himself. This becomes most obvious with the introduction of Kaho Mizuki, Sakura’s teacher. It becomes clear that not only did Toya and Mizuki know each other because she taught at his junior high, but that they loved each other and were a couple until she left town. When Mizuki returns, Toya seems bothered by her presence but it is unclear why. Although it is probably because Toya was aware that Mizuki was somehow connected to Sakura’s mission as a cardcaptor (how, exactly, I won’t spoil), I always felt there was also a tinge of regret and unrequited love on Toya’s part in facing Mizuki. And yet, what makes me doubt this is the later revelation of the depth of Toya’s feelings for Yukito. In the second half of Cardcaptor Sakura, Toya always shows great concern for Yukito, and when Yukito later mentions that Toya is the most important person to him, Sakura tells him that she’s sure Toya feels the same way. 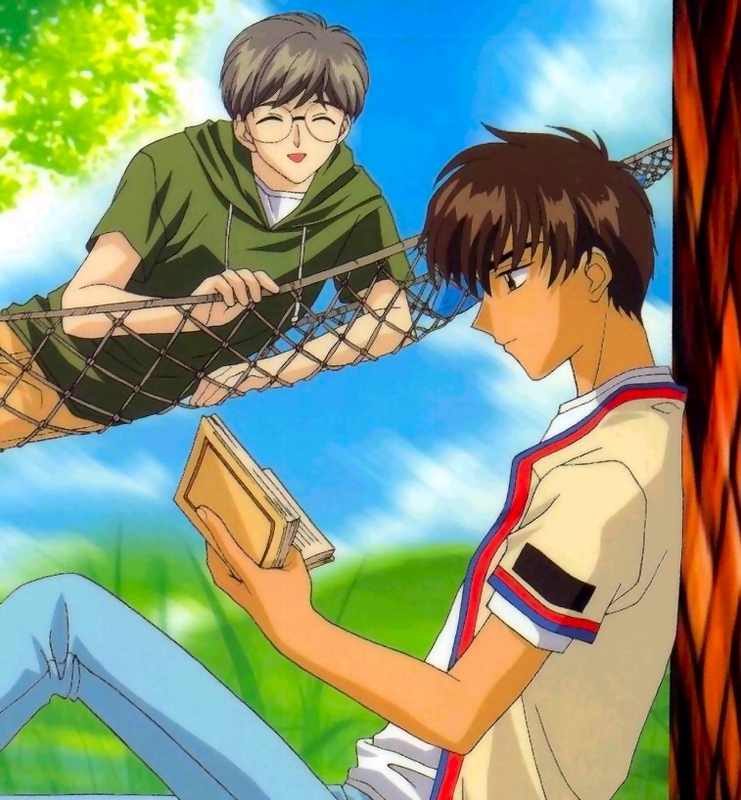 While it’s not exactly surprising for CLAMP to create moments that can be romantically interpreted between two male characters, the depth of Yukito and Toya’s feelings for one another never once felt forced or contrived, and I actually ended up really liking the idea of the two of them as a couple. But what’s most important is that although I was expecting Toya to be a flat character, he ended up not only playing a much bigger role than I thought he would but he also became one of my favorite characters in the series.